UNIVGARCH implements various Garch models (including N-GARCH, E-GARCH, O-GARCH, O-Garch(1,1)-AR(1) and N-Garch(1,1)-AR(1)). Proprietary optimisation techniques are utilised to enable the practical use of Garch models in a trading environment. 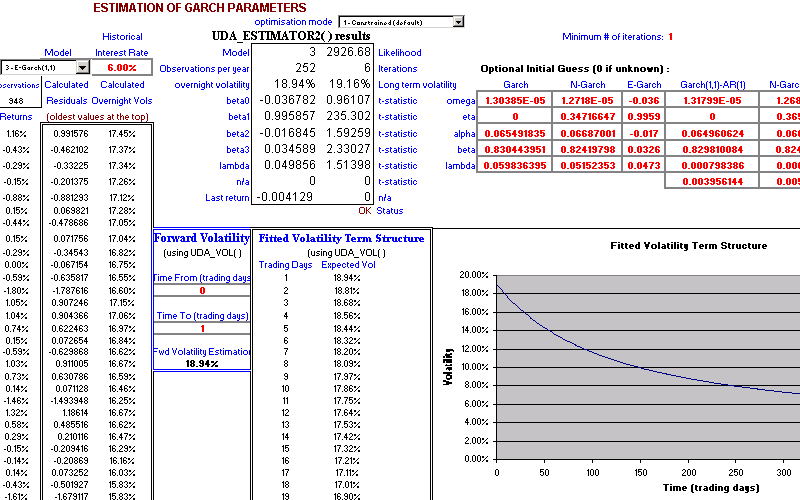 The Garch model increases the accuracy in the pricing of standard and exotic options (including Windowed Barriers and Windowed one and two touch options) where the underlying does not follow a perfect lognormal distribution (e.g. it has fat tails or non-standard Kurtosis). The Garch model has been proven more accurate than "Black-Scholes" type models, especially for out of the money options which are close to maturity. 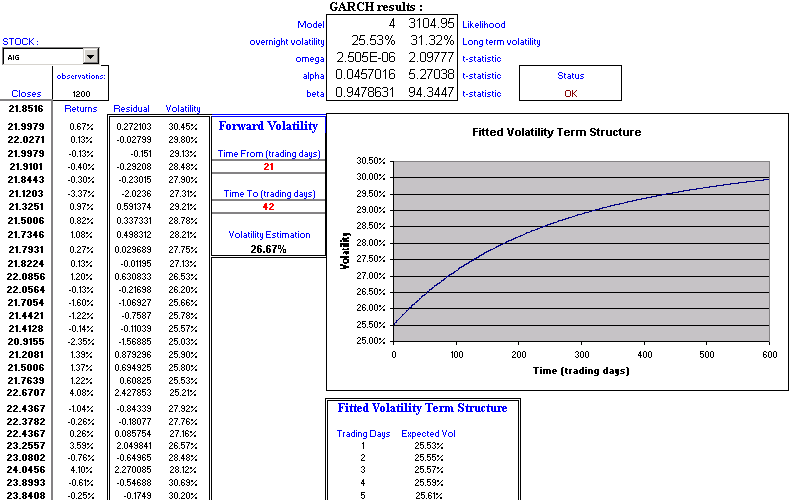 The Garch model is considered an effective volatility forecaster. UNIVGARCH thus enables the forecast of the forward volatility for any time period and this volatility forecast can also be used in a standard option pricing model, increasing the accuracy of the standard option pricing model. Simulations can be carried out with variable step length, including the handling of discrete dividends and a term structure of interest rates. 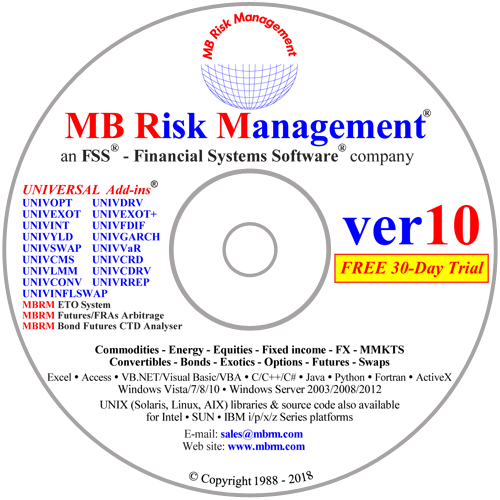 These substantially increase the accuracy and types of options which can be analysed. Advanced variance reduction techniques are also implemented to substantially increase the accuracy/speed ratio. UNIVGARCH can also be used for the Monte-Carlo pricing of standard and exotic options assuming a constant volatility, therefore increasing the scope of usage to situations where a standard log-normal distribution is desirable.